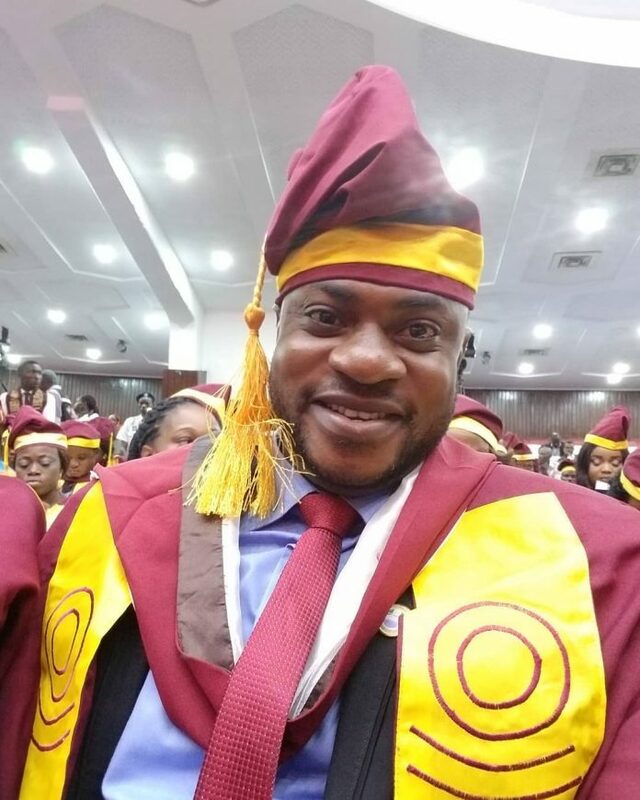 Armed with a degree in Business Administration from the University of Lagos, popular actor Odunlade Adekola is set to explore higher level in his acting career. 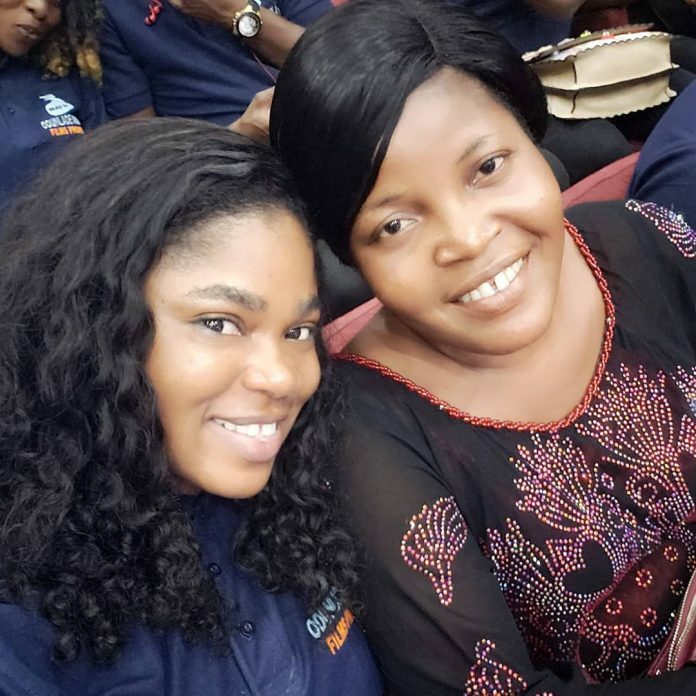 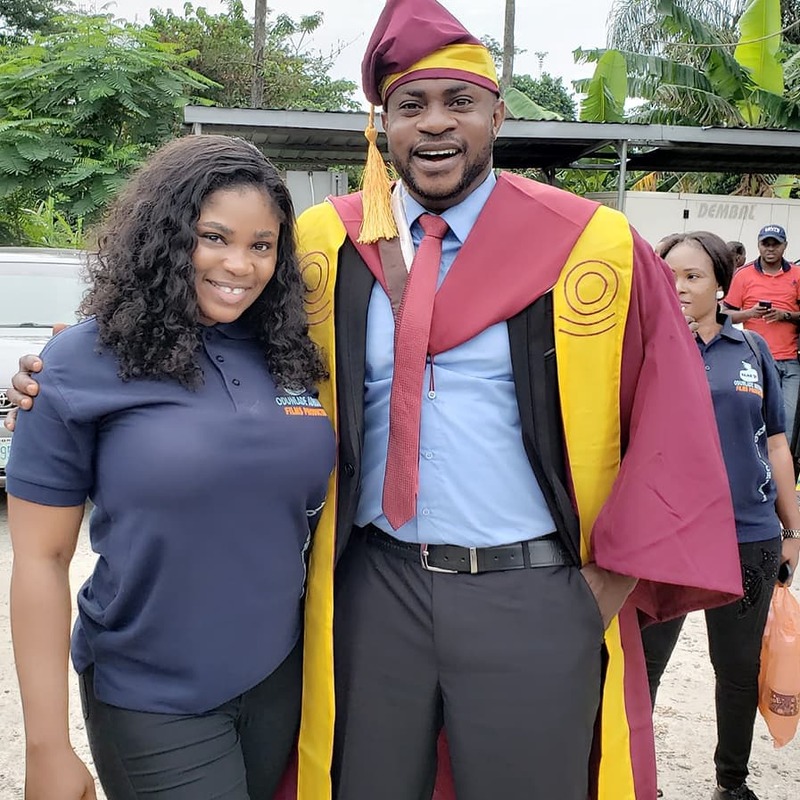 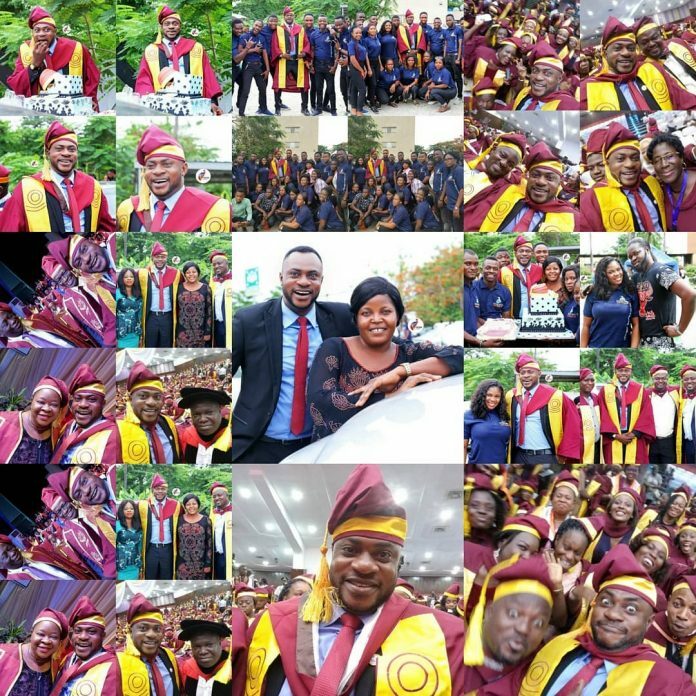 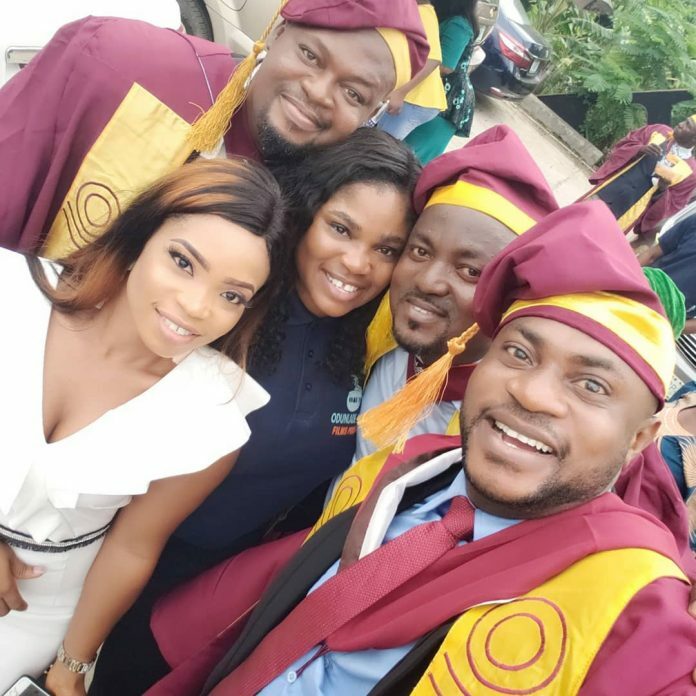 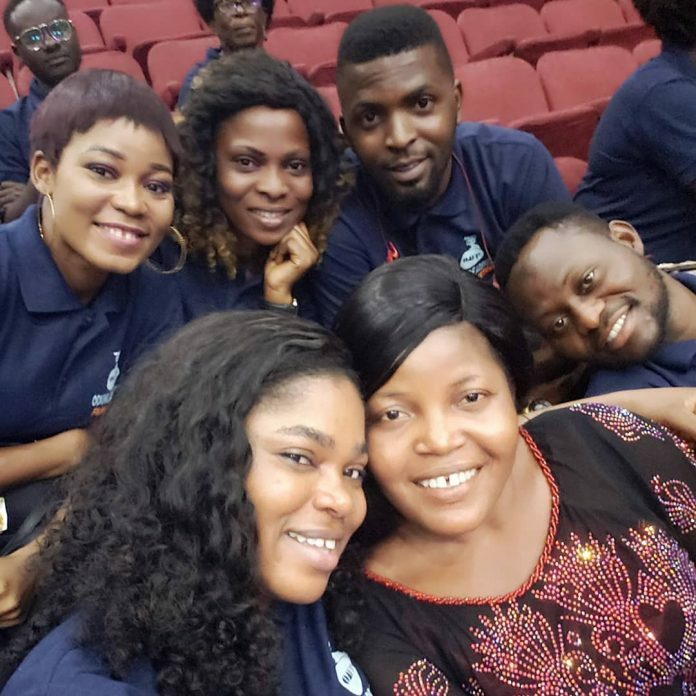 The excited B.SC graduate whose family, friends and students of his acting academy in Abeokuta trooped to Lagos to celebrate with him, has shared photos of his convocation celebration with his wife, Ruth and protege aka favorite colleague, Eniola Ajao on social media. 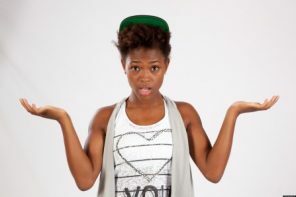 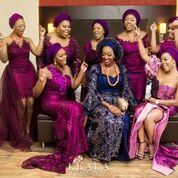 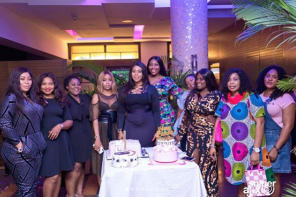 This video of Emma Oh My God and his wife, Yetunde is super adorable!